Colerain Township Ohio Homes for Sale – Colerain Township can be described by residents as a great place to reside. This small Cincinnati suburb flourishes with multiple businesses. Choose from a variety of restaurants, pubs and clothing stores to stroll with friends and enjoy a nice evening out. Colerain Township has experienced much growth in recent years with new businesses popping up. Northgate Mall is the communities major enclosed shopping center with trendy shops. There’s also plenty of large chain grocery stores, a movie theater, fitness centers and relaxation spas! Enjoy living within a short drive to everything one could need. Colerain Township is conveniently located close to many major highways, a plus for the resident that commutes to work. I-275 and Route 27 can take you any direction you need to travel. Hop on I-75 and head South to Cincinnati to visit one of the larger attractions including the Cincinnati Zoo & Botanical Garden. Nearby, residents can visit Winton Woods, a country owned park that offers fishing, camping, nature hikes, golfing, paddle boarding and much more! Home seekers can expect to find the median home price to be in lower 100k ranges when searching for homes for sale in Colerain Township. There are more older homes in the area, some of which have been modernized. The majority of homes consist of ranches and colonials nestled on decent sized lots. If you’re looking for a city that has ease of commute, lots of home choices and plenty to do, Colerain Township might be worth a look! 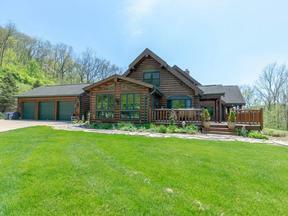 Search below for Colerain Township Ohio homes for sale. Contact our sales team for more information about Colerain Township Ohio homes for sale.